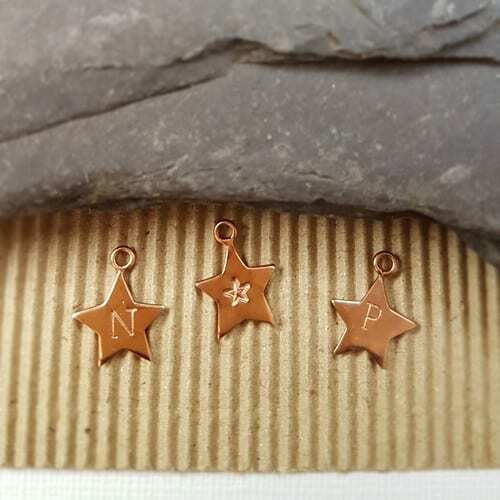 A truly special keepsake charm bracelet. 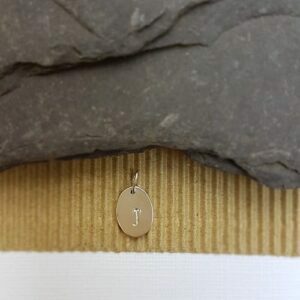 Wear just one initial, perhaps your own, or that of a loved one. 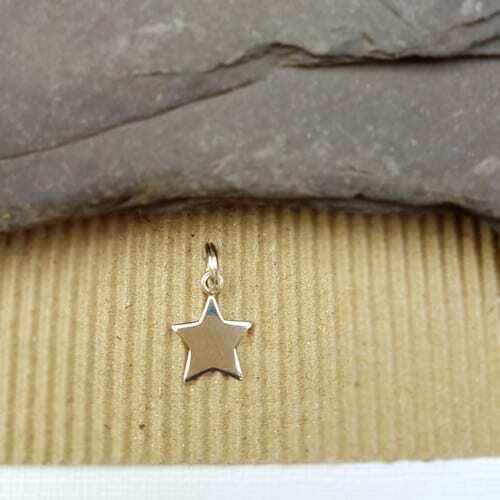 Or those of your children or grandchildren to have them with you even when you are apart. 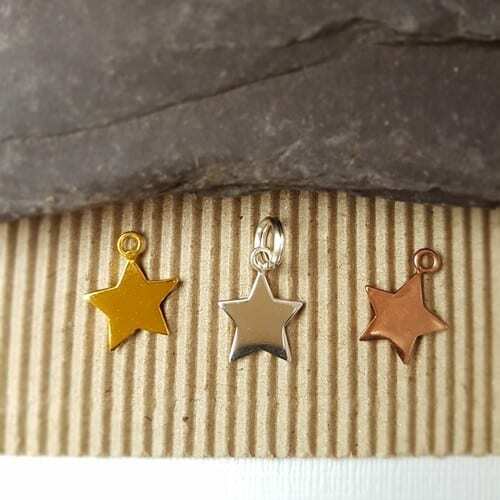 Choose from either a sterling silver star or one plated with rose gold. 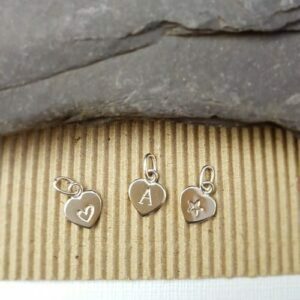 Both can be hand stamped with an initial of your choice. 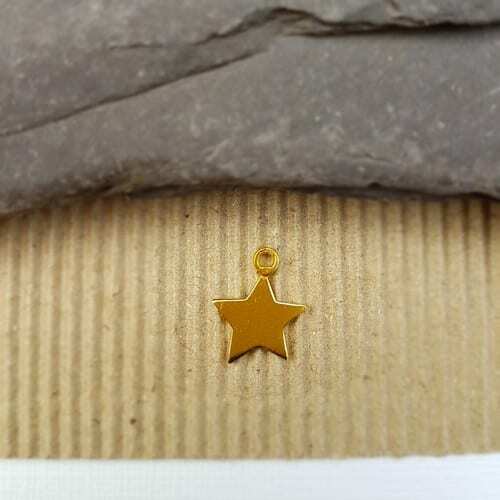 Or if you would prefer, you can choose a hand stamped star or heart symbol instead. 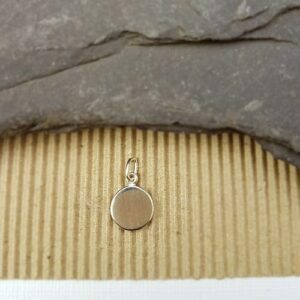 The sterling silver charms are fitted with a mini lobster clasp so that they can be moved along your bracelet, or you may like to wear on another piece of jewellery? 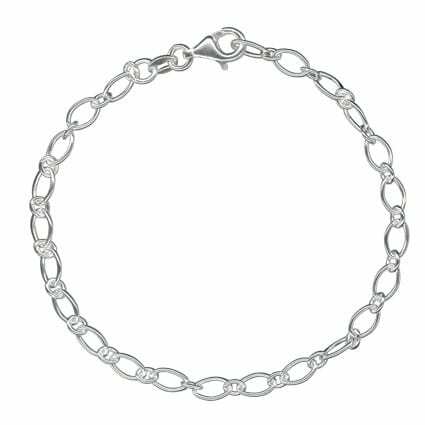 The bracelet is 8″ oval round cable chain sterling silver – a little different and very pretty. 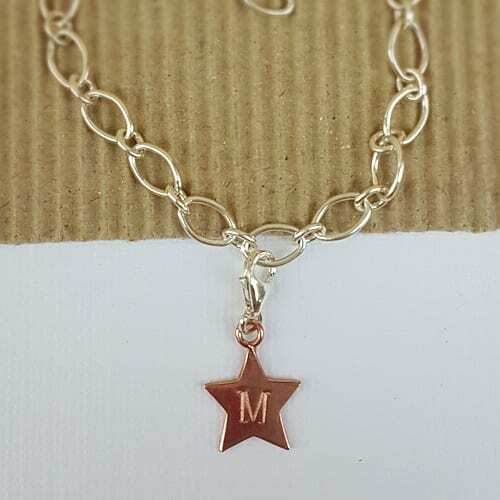 Additional initial charms can be fitted on to this bracelet and can be ordered separately here. 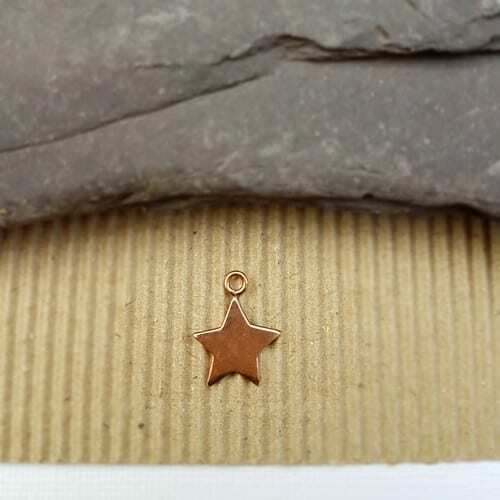 Designed to be worn as an everyday piece, as a gorgeous keepsake and to resonate with your mind, heart and soul.